Kellogg House on the corner of North Pleasant Street and Kellogg Avenue, which is the site of the present Post Office. It was owned by William Kellogg who owned the Kellogg Block that burned in 1923. Written on back: "Sign on house says Dr. Barrett. Dr. Fish House on Kellogg Ave. in background. Dr. Clarke before Fish and Barrett." 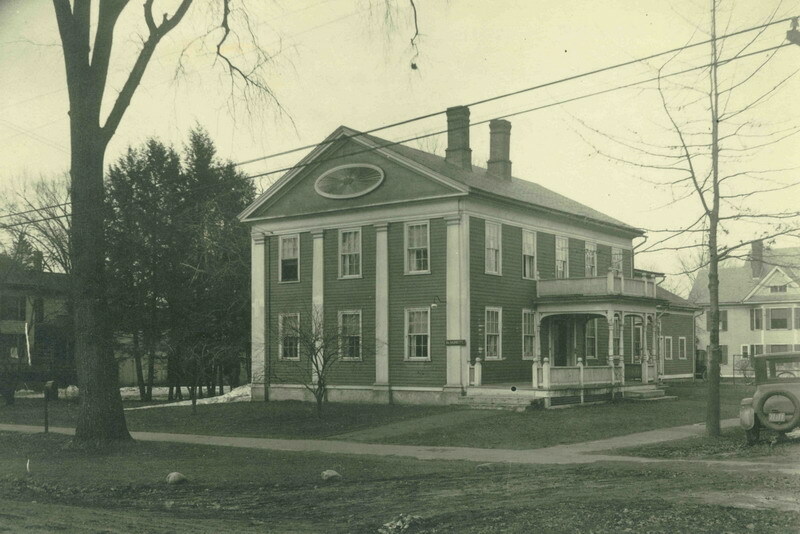 Barnes, Lincoln W., 1879-1966, “Kellogg House, North Pleasant Street in Amherst,” Digital Amherst, accessed April 23, 2019, http://www.digitalamherst.org/items/show/771.